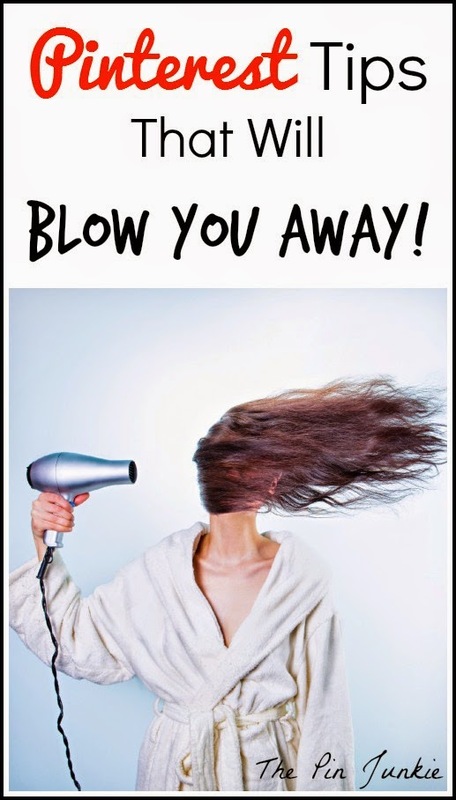 Pinterest Tips That Will Blow You Away! You may have already guessed this, but I love everything about Pinterest! I love finding fun craft projects to try, delicious recipes to make, new books to read, inspirational home decorating ideas, and new ways to clean and organize. I also love discovering new ways to use Pinterest and I love sharing what I've learned with others because I know there are other pin junkies out there who love Pinterest as much as I do! So, today I'm sharing some new features that Pinterest recently introduced and how easy it is to use them. Once you know about these neat tips, they might just make your life (or at least your life on social media) a little easier! I've previously written about how important it is to keep your Pinterest boards organized and Pinterest has made organizing and moving pins a lot easier. Now you can move up to 50 pins at a time from one board to another and it's super easy! 1. Click on a Pinterest board to open it. 2. Click the "move pins" button. Three red buttons will pop up with the options to move, copy or delete. 3. Select the pins you want to move. Click the red "move" button and select the board you want to move the pins to. Have you ever pinned a great idea only to have a hard to finding it later when you really needed it? You can now search your pins to find exactly what you're looking for quickly and easily! 1. Type your search in the search bar. 2. You'll immediately get pins that match your search. 3. Click the "your pins" button to limit the search to only things pinned on your boards. You can also search all of Pinterest. A while back I wrote about Pinterest smart feed and one of the positive aspects of smart feed is that it makes searching for ideas and topics on Pinterest so much easier. 3. Click on a category at the top of the page to narrow and refine your search. Now it's even easier to invite someone to pin to any one of your boards. Use the "invite" button to invite pinners to a board and instantly turn that board into a group board! 2. Click the red "invite" button. 3. Select a person to invite to pin on the board and the board will automatically change to a group board! 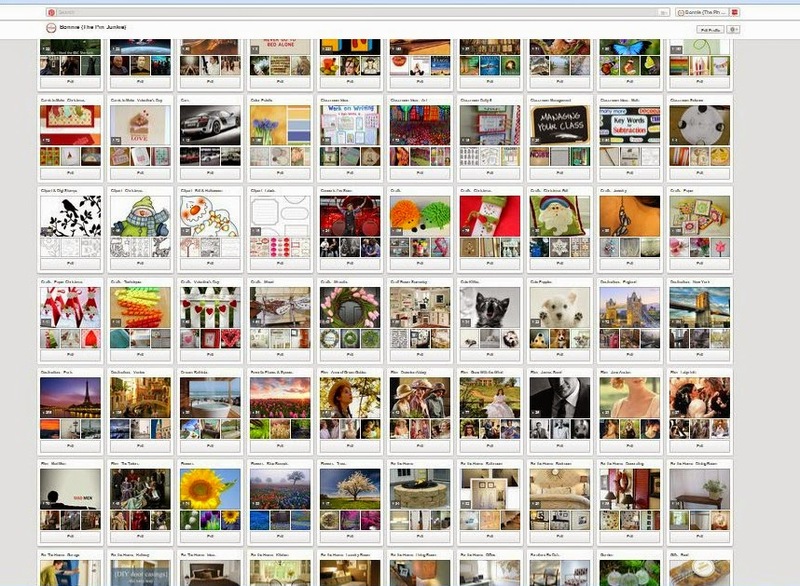 Suppose you mention a particular Pinterest board in a blog post and you want to show readers what the board is about. Or maybe you want to encourage people to follow a particular board. It's now really easy to embed a Pinterest board in a blog post and you can do it with the click of one button! 2. Click the " . . . " button. 3. A box will open with code that you can copy and paste into your blog post. This is a really neat trick! Did you know there is a way to make boards appear smaller on the screen so you can see more boards at once and you don't have to do all that scrolling up and down? Yes, there is! Hold the SHIFT key and (+) key at the same time to make boards bigger. Hold the SHIFT key and (-) key at the same time to make boards smaller. Making the boards smaller really helps when you have a lot of boards and want to fit more on the screen. I like to use this feature when moving a board to a new location. Here's what my boards look like normally. I can only see about a dozen at a time. This is what my boards look like after I've hit the SHIFT key and (-) key three times. The boards are minimized and I can see more boards at once! I hope you found these Pinterest tips and tricks helpful! 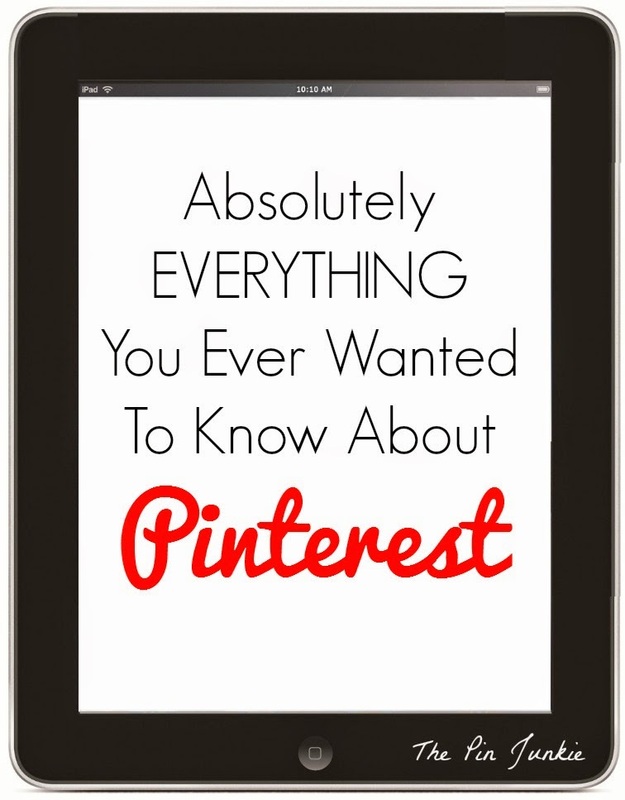 You can find even more Pinterest info and tips here! I love sharing what I've learned with others and I'm so glad this information was useful for you! I am soooo glad in the update Pinterest people added a "move multiple pins" option! Seriously, I could have used this option so many times in the past. I did not know about making the size of your boards different. Thanks for the post! I agree! This is a feature many people requested and I'm glad Pinterest listened! These are great tips! I especially love the one about how to embed a board. I had NO idea you could do that! Thanks for sharing! Thank you for these tips! It's so helpful to be able to search one's own pins. Yes! I like that feature too! That is slick to be able to move so many pins at once. I have to better organize my boards, so that will be helpful! Hi Bonnie! Great tips! Very helpful and informative post. Thanks for sharing. Pinning! Interesting info. Don't suppose you know how to get added to more group boards? I got added to two by someone (I'm not even sure who!) and love them. p.s. I found your post via the "Lou Lou Girls Fabulous Party"
p.p.s. Going to check out your Pinterest right now! Thank you for your response! Went and read your article and going to check out the group directory now. Interesting that they need your Pinterest e-mail, not your Pinterest "i.d." to add you. And you're right, a lot of boards have no instructions on how to get added. But I understand some board administrators probably want to be very selective about who gets added. Great tips. I didn't know that you could adjust the size of your pins. I learned something new today! Hi Bonnie. Stopping by from Fluster's Creative Muster Party to check out your Pinterest Tips. You did a great job, it's a very nice post and super helpful, thanks for sharing it at the party with us! I'm so glad you found this info helpful! This is a great resource. I find Pinterest to be completely overwhelming, so this is super helpful. Stopping by from Inspire me Wednesday. This is such a great a post & so helpful. Bonnie! These are absolutely wonderful! I've been putting off organizing my pins because it's so time consuming, but your tip about moving 50 pins at a time is a life saver! I've been wishing for that option for such a long time, and didn't even notice it was available until you drew my attention to it! Thank you so much! Organizing my boards just got so much easier! That's great Maria! I love it when Pinterest adds new features that make things easier! I just learned how to embed a Pinterest board to my site after like an hour and a half of looking around... wish I'd come here first! I'll be back whenever I need a Pin junkie fix. Glad I was able to help Jenny! I love being able to help people with Pinterest! Pinterest is so great, but it can be cumbersome using it. Thanks for tips to make it easier! I often feel like Pinterest is incredibly time consuming too, at least for me! Great tips... I am still learning about Pinterest... thank you. I had no idea you could do half of this ha (: Thanks for sharing! Visiting from http://www.andieconn.com/valentines-day-brownies/ and would love a visit back! Great tips on Pinterest. Thank you for sharing with the Clever Chicks Blog Hop! I hope you’ll join us again next week! Man, I wish I had read this post before I was on Pinterest moving pins and boards around this morning. I will probably reference your post when I do my social media post on my contributor's blog next month. You received the most clicks last week on the Bloggers Brags Pinterest Party and will be featured next week! Bonnie, you are the winner! Yep. Number one most viewed post at last week's party! CONGRATS!!! Thanks so much for the tip about seeing more boards on the screen, that will come in very useful! Love the graphic.... So pin worthy! Great tips as well, I'm a pinaholic myself and never knew about the board view sizing either! Thanks for sharing! I always enjoy your input! I didn't know about the embedding a board. I can think of plenty of uses for it. Te resizing tip is great - I didn't know that! Thank you for linking up to the Bloggers Brags Pinterest Party. I have pinned your post to the Bloggers Brags Pinterest Board. Wow, I had no idea about most of those. Thank you for sharing your great knowledge. It's very much appreciated. I'm visiting you from the Inspire Me Monday Blog Hop. Found this amazing post at the link up today. WOW I needed to read this. I will be putting into practice soon! Hi Bonnie! Great tips! Thank you for sharing! I really found the tip on how to embed my board in a post very helpful! Have a great rest of your week! I had no idea we could make the boards smaller and fit more on a page. What an awesome tip! I'll definitely be be pinning this post. Thanks for sharing your expertise, Bonnie! Helpful tip for making the board page smaller to fit, thanks. Thanks. I'd like to try a couple of these new Pinterest tricks. Either I can't find a minus key or this didn't work for me on either my PC or my iMac. On the PC I tried both the hyphen key and the actual minus key on the number keypad. The Mac doesn't have a minus key. Why can't I find it?